WhatsApp for Android already proved a highly appealing application, the same as it did on devices based on other mobile operating systems out there, but it seems that enhancements could be made to it. WhatsApp+, a re-worked, custom version of the official WhatsApp Messenger for Android, can easily prove that. 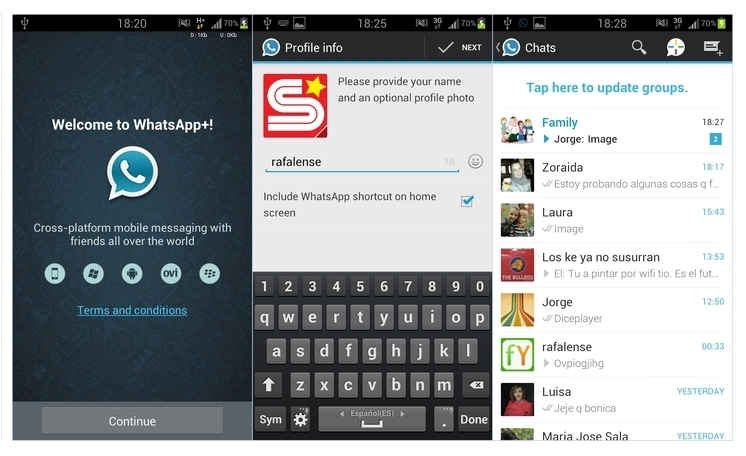 The software comes with the same features as WhatsApp, given that it is built based on it, but adds some new options of its own, allowing users to easily customize colors and more. The app enables users to share music with a single click, to add contact profile pictures to their chats, and can also increase the upload media limit to send large files. Today, WhatsApp+ was released as version 3.17, with fixes over the previous versions, after getting a consistent Holo UI on all devices only two days ago. The new app release also comes with a series of fixes, its developer notes. More on it can be found over at the XDA-Developers.